600 numbered copies will be made of the album Já in October 2017. 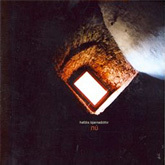 Sleeve design by Jóhann Ómarsson, based on Kári Martinsson Regal's design of the album Jæja. A native of Reykjavík, Iceland, Hafdís Bjarnadóttir started playing electric guitar at the age of 12. She was soon performing in bands and writing her own music, with an initial focus on rock and folk. In 2002, she graduated in jazz guitar performance from the FÍH School of Music. Keen to develop her compositional voice, she earned a bachelor’s degree in contemporary composition from the Iceland Academy of the Arts in 2007 and a master’s degree from the Royal Danish Academy of Music in 2009. With a reputation for breaking down barriers between different genres of music, her past projects include a sound installation for the Nordic Lighthouse at the 2010 World Expo in Shanghai; an orchestral piece based on knitting instructions; two solo albums mixing different genres and instruments from different traditions; an ensemble piece based on financial graphs and charts from Iceland’s 2008 banking crisis; various commissioned pieces for solo instruments or chamber ensembles; and a piece for a mixed choir and electric guitar. 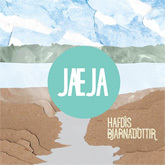 Her second solo album, JÆJA, received critical acclaim and was nominated for the 2009 Iceland Music Awards. Her piece for accordion and halldorophone, “A Day in February”, was nominated by the Icelandic National Broadcasting Service for the 58th International Rostrum of Composers in Vienna in 2011. She lives and works in Reykjavík. and a piece for a mixed choir and electric guitar. Her second solo album, JÆJA, received critical acclaim and was nominated for the 2009 Iceland Music Awards. Her piece for accordion and halldorophone, “A Day in February”, was nominated by the Icelandic National Broadcasting Service for the 58th International Rostrum of Composers in Vienna in 2011. She lives and works in Reykjavík. 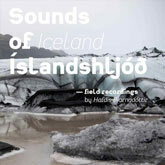 instructions; two solo albums mixing different genres and instruments from different traditions; an ensemble piece based on financial graphs and charts from Iceland’s 2008 banking crisis; various commissioned pieces for solo instruments or chamber ensembles; and a piece for a mixed choir and electric guitar. With a reputation for breaking down barriers between different genres of music, her past projects include a sound installation for the Nordic Lighthouse at the 2010 World Expo in Shanghai; an orchestral piece based on knitting instructions; two solo albums mixing different genres and instruments from different traditions; an ensemble piece based on financial graphs and charts from Iceland’s 2008 banking crisis; various commissioned pieces for solo instruments or chamber ensembles;and a piece for a mixed choir and electric guitar. Please sign up for my mailing list for upcoming projects, shows and good stuff!